One of the main challenges cities across the world face is enabling seamless mobility for their dwellers. Studies show urban mobility is incremental to the economic opportunities an individual can attain, thus translating urban mobility into socio-economic mobility or immobility. City planners and transport authorities have long left the individual’s mobility out of the picture owing to varied, if not conflicting, interests of the involved authorities and massive dissonance in operations turning authorities into islands working alone. Private investments in the public transport sector, too, are hindered by regulations forbidding them to provide flexible transport services (FTS). ITS is the assemblage, aggregation, and application of information on transport gathered through technologies such as GPS, sensors etc. with the aim of improving safety, mobility, and economics. A survey conducted in Kochi as part of the Kochi Public Transport Day campaign revealed that 65 per cent of those who use public transport cited the availability of information regarding services as a decisive factor in choosing the mode of public transport. ITS bring together various transport service providers, both public and private enterprises, by bridging the information gaps and allowing these enterprises to collaborate and provide mobility as a service, thus enabling individuals to make informed and intelligent decisions about transport. The Ministry of Road Transport and Highways (MoRTH) mandates all passenger transport vehicles, buses and taxis included, to be retrofitted with On-board Units (OBU) including GPS systems and emergency buttons from April, 1, 2018. Although the move emanated from the J S Verma Committee report on improving women safety, MoRTH has put forth AIS 140, a set of hardware standards, with the intent of creating an ITS ecosystem. The Kerala government has subsequently introduced rule 151 A and amended its Motor Vehicles Rules, 1989; the new rules are in force from April 1, 2018. It might seem like the moment has arrived for ITS but Kochi’s public transport services are underutilized. The campaign survey reports that 70 per cent of public transport users in Kochi use buses as their main mode of transport. The figures reveal a significant dependence on buses for the main mode of transport warranting two different inferences: plugging buses to ITS will improve Kochi’s Public Transportation Management Systems, and the private bus sector should be allowed to innovate and include value-added services which will help improve their margins. “We view ITS as a promising step since it will allow us to carry out certain value added services etc. but private bus operators in Kochi view their business as a social necessity rather than an economically sustainable business. We hardly make margins and strive hard towards reducing our losses,” says George Joseph, a private bus operator in Kochi. Another challenge bus operators face is the shortage of labour in staffing the buses. “For the salary we can afford to pay, no skilled talent is interested in taking up jobs in this sector and we’re facing an acute shortage,” he added. There are steps that authorities can take to improve this sector and consequently the larger picture of public transport in Kochi. For instance, RTO stipulated journey timings require private buses to cover one kilometre in three minutes, forcing buses to flash past each other at breakneck speeds, something often cited as a reason for Kochi’s hazardous roads. Many of these buses ply on the same routes and have to compete with each other since the allowed routes are few, urging the need for regular route rationalizations. “Around 15 to 20 per cent of all private buses in Kochi are almost 15 years old (maximum permitted lifespan) and it’s challenging to equip those with OBUs. Also, the bus staff doesn’t want GPS on their buses since they don’t want authorities to find out they are skipping trips when passengers are less,” says a senior professional working in an ITS solutions provider in Kochi. He adds that the bus operators will be fined if the authorities discover that they do not complete their trips on time. The Kochi Public Transport Day campaign survey results show the distribution across various modes for first and last mile connectivity. Studies show that ITS OBUs along with existing technologies like Android can vastly improve Public Transportation Management Systems leading to better outputs. More than a marketable technology, ITS is an opportunity to provide alternate modes of transport for the pedestrian forced to walk on uncovered streets; it is also about improving the passenger load of the operator who is suffering losses for the nth straight year. Far from being disparate, these challenges faced by public transport in Kochi are intertwined. 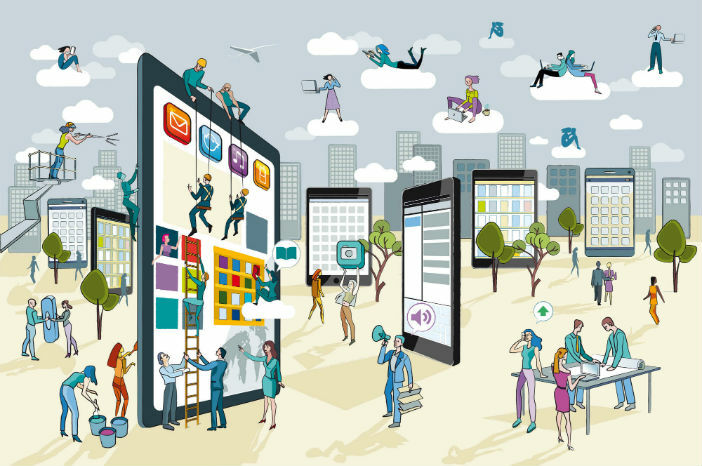 Enterprises or authorities willing to delve deeper into these challenges, wielding ITS and the information it generates, may very well solve the puzzle. With Smart Card Transit Systems, GPS monitoring etc. implemented in Kochi’s public transportation system, fresh and promising technologies like the Internet of Things (IoT) will help build smart cities through intelligent and data-driven decisions. Cross-platform tie-ups in this area are creating success stories of seamless urban mobility in Europe where enterprises are allowed to utilize government owned public transport infrastructure including buses, trams etc. through journey planner applications powered by ITS. Technologies such as IoT and ITS also replace the need for competition between multiple transportation providers with the need for collaboration, not just between transport providers but also across smart card providers, credit agencies, and industries, resulting in better mobility. But there are challenges galore for entrepreneurs tapping into this sector. 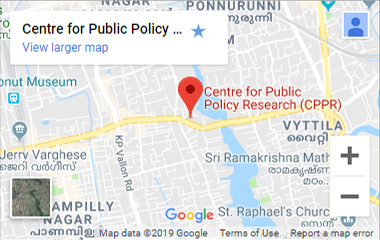 First off, there is no central command centre where multiple stakeholders such as the city traffic police, Cochin Corporation, different bus transport authorities, Kochi Metro, State Water Transport Department, Cochin Smart City Mission, urban planners etc. cooperate and associate to gather real time data. The data can then be aggregated and analysed for an integrated and dynamic Public Transportation Management System in Kochi. The data thus aggregated should also be made available for entrepreneurs and the industry to come up with creative solutions. Although the long-mooted Kerala Metropolitan Transport Authority Bill, 2017 (KMTA); proposes a ‘single command and control centre’, ‘transport app’, and a ‘smart card’, there needs to be a policy framework institutionalizing an engagement between KMTA and enterprises. Ensuring passenger safety is another gargantuan challenge that ITS enterprises face while serving Kochi’s urban population. Safety and security are perceptions and enterprises need their passengers to ‘feel’ safe while using their services. Unlike journey planners, it is easier for Uber to take responsibility for passenger safety as it operates fleets of private vehicles run by contracted workers. The former faces tougher challenges as passengers use public spaces to avail often more than one mode of public transport and the planner alone cannot assure the safety of the passenger. According to a study conducted in Delhi, over 90 per cent women had faced some form of sexual harassment while using public transport. Of this, 51 per cent of the women faced harassment inside public transport, and 42 per cent while waiting for public transport. While it can be argued that Kochi is different from Delhi, the campaign survey points out that 73 per cent of women cites safety as the major concern in using Kochi’s public transport. These are serious impediments to the participation and growth of enterprises in this sector which can be overcome only by strengthening existing government institutions and relieving enterprises of sole liability. Enterprises succeed by serving traditionally underserved markets. 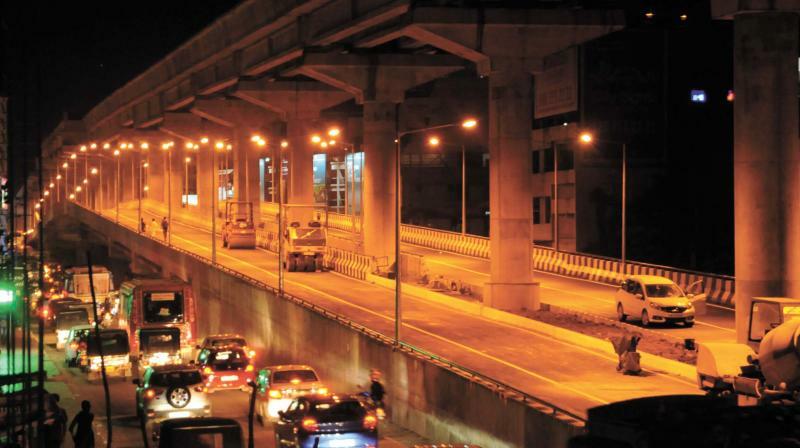 With ITS-powered enterprises, Kochi to stands a chance in ensuring equity in mobility, both urban and socio-economic, especially towards underserved regions and communities. The city must bring together its entrepreneurs, civil society organizations, public intellectuals and planners to empower that element which holds the vitality of every city – humans.